STAY WELL INFORMED WITH TOP-CLASS QUALITY PANEL BEATING FROM A TEAM OF QUALIFIED STAFF. or if parts are required, 24 hours. work needs to be done. Hutt Valley and wider Wellington area. from a team of qualified staff with a lifetime guarantee. 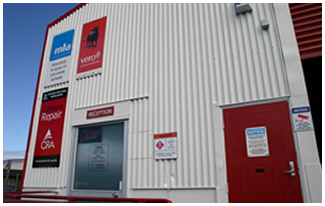 Get A Quote From Our Friendly Team Today! We assess the repair job based on a number of factors - the seriousness of repair, the amount of work likely to be involved, the standards of repair required to complete the job for maximum resale value, the availability of insurance and the customer’s budget. At all stages we try to educate you and keep you informed of your options. Whenever a job comes our way, depending what type of job it is (whether private market or insurance or if the customer is not sure), we first work with the customer to understand what’s important to them and then come up with some options based around their budget. Different customers will have different expectations relating to the amount of work to be done. The value of the vehicle and the way that it needs to be repaired will play a big role in the quotes we present to a customer. There are many different scenarios. A late model Mercedes Benz driven by an extremely successful business person may require a much more detailed level of work and attention in order to preserve the resale value of the vehicle. On the other hand, you may have an older vehicle that may or may not have insurance and is used basically for transport from point A to point B - until the engine gives out and the vehicle needs to be replaced. For these sorts of crash repair jobs high cost collision repairs may be out of the question, and the customer may have a defined budget in mind which they are not willing to exceed. Even in these cases, however, the customer still needs options, perhaps more so - because the amount you save in panel beating may come back to haunt you if you ever try to resell the vehicle. The best way to avoid having customers who feel mistreated, uninformed or ripped off, in our opinion anyway, is by going the extra mile to inform customers at every stage what their options are, so that they can understand that there are trade offs and make the best decision based on their situation. Our concern is never to rip anybody off. 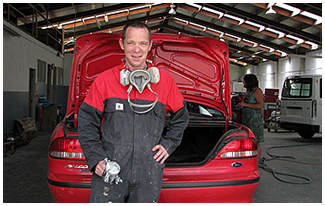 Regardless of the person, the vehicle or the size of the project, and regardless of whether or not insurance is involved, our number one priority is to complete repairs with total transparency so that all parties can be satisfied that a good job has been done and no work has been undertaken that did not need to be undertaken. The best way to do this is (in our view) to give the customer options, and from the moment that they walk through the door, to begin to educate them on how a job should take place, and what they should expect along the way. This helps us to build long term relationships and excellent word of mouth among the people who choose to engage us. 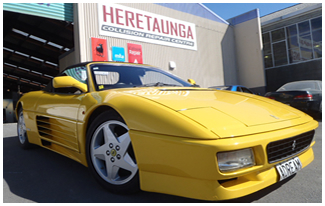 Website Designed by Zeald © Copyright 2014 Heretaunga Collision Repair Centre. All rights reserved.